(NEW YORK, NY) — Inspīr Carnegie Hill, New York City’s first ground-up senior luxury residence in over 15 years, is nearing completion. 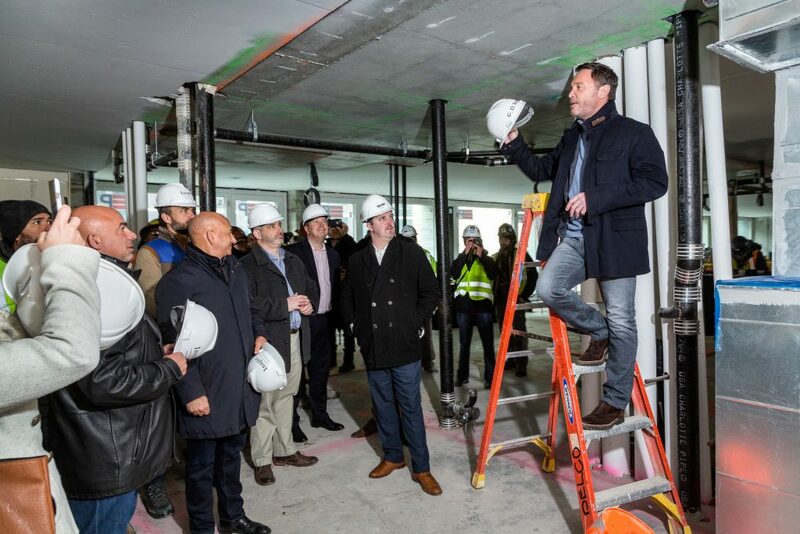 Earlier in March the Inspīr team gathered for a topping-off party to celebrate the completion of the last floor in the 23-story residence. Boasting stunning views of the East River, attendees got a sneak peak of the elegantly designed masterpiece. Among those in attendance was Inspīr’s Gregory D. Smith, President & CEO, Tom Gaston, Chief Investment Officer and Shane Herlet, Chief Operating Officer. The 212,000 square-foot LEED certified building is redefining senior living. With a in-house nursing staff and leading-edge technology, those in need of assisted living no longer need to leave the beautiful city of New York.